Blue Seas is the perfect Cornish beach house. Enjoying panoramic views of the golden sand and rolling surf of Mawgan Porth, you simply cannot beat this amazing place to stay. A hot tub is available to hire. One of our many luxury dog friendly holiday homes. Enjoying uninterrupted views of the award-winning Mawgan Porth beach this fantastic beach house is surrounded by a third of an acre of beautifully kept gardens with a large, sea facing, sun trap terrace, overlooking gently sloping lawns and a pretty stream that trickles down to the sea below. The beach is just a five minute walk away through the garden gate. Off the drive there is a level lawned area and to the side of the house a heated outdoor shower for when you return from the beach and a wet suit rack. Internally, Blue Seas benefits from plenty of living space and all the ground floor rooms (except kitchen & utility room) enjoy magnificent sea views. The sitting room is very cosy, with a lovely wooden floor and an open fireplace. There is a separate, lower level snug/TV room with XBox 360 which is ideal for the kids and also a separate dining room. A 3rd living room/bedroom 5 upstairs with TV and sofabed enjoys the best views of all. Mawgan Porth and the pretty village of St. Mawgan sit in the perfect location for a peaceful, relaxing and wonderfully memorable holiday here in Cornwall. Situated mid way between Padstow and Newquay close to the South West Coastal Path on the rugged north Cornish coast, Mawgan Porth offers you a beautiful west facing beach, stunning scenery, wondrous walks, superb surfing, an amazing variety of restaurants to suit everyone's taste and pocket, including a cosy pub, seafood restaurant, cafes and takeaways. 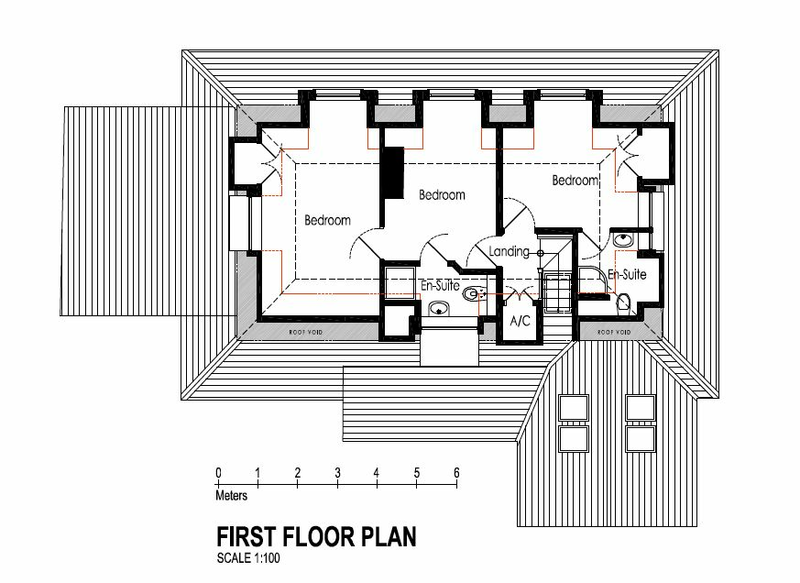 Ground Floor: High ceilinged spacious entrance hall leading to kitchen (with dishwasher, microwave, fridge-freezer, 5-ring double oven range-style cooker) and doors to utility room (washing machine & tumble dryer) and downstairs cloakroom. An arch from the kitchen leads to the light and airy oak-floored dining room where there is also an upright piano for your entertainment. Large glass French doors open into the good sized sitting room, with open fire and lovely wooden flooring and a separate snug/TV room with a big corner sofa, TV/DVD/Blu-ray and Xbox 360, both with fabulous sea views and doors to the terrace. There is also a CD player and iPod dock. Two ground-floor bedrooms, again with those stunning views – a spacious double bedroom (or can be converted to twin beds) and a further double with French doors to the terrace. Bathroom (bath with shower over) with WC. First Floor: Beautiful bespoke oak and glass staircase leads from the light, spacious entrance hall up to first floor and two/three more bedrooms – a double bedroom (4'6") with ensuite loo & shower; a large double bedroom (can convert to twin beds) with space for an additional single bed (suitable for a child only) with ensuite shower & loo. A 5th bedroom/TV room has fantastic views and a small double sofa bed suitable for either a single adult or 2 small children. Exterior: The large terrace has teak garden furniture (extending table and plenty of chairs, sun loungers) and a BBQ. There is a heated outdoor shower for guests returning from the beach and a rack for drying wetsuits. There are plenty of lovely gardens with a (netted) pond and stream - please note the garden is not fully enclosed. A hot tub can be provided (subject to availability) at the property for the additional charge of £225 per week. Heating is via central heating and the open fire. The kitchen has a range of modern equipment. There is a range cooker, a microwave, toaster, kettle, fridge/freezer & dishwasher. Washing machine and tumble dryer in utility room. The snug/TV room has a flatscreen digital TV, XBox 360 & DVD player. There is an iron & ironing board. Superfast WiFi free of charge. Telephone - please pay for all calls using the honesty box. Electricity, heating, bed linen & towels are all included but you must provide your own beach towels please. Up to a maximum of two well behaved dogs will be permitted at the small additional charge of £40 per dog / per week, although please remember that dogs are strictly not allowed on furniture, in bedrooms or upstairs and cannot be left unattended in the property. There are parking facilities for up to 2 vehicles on the private driveway and a further 2 may be parked in the marked 'Blue Seas' parking bay at the top of the drive. No smoking is allowed. Stair gates, a cot & a high chair are available in the house (please bring your own cot bedding). Please note that the maximum number of adults the property can accommodate is 8/9 (double beds for 8, plus a sofa bed for one child and a small single bed - a 2' wide truckle bed). Arrival 4pm/ Departure 10am on Saturdays in peak periods. Mawgan Porth and the pretty village of St. Mawgan sit in the perfect location for a peaceful, relaxing and memorable holiday here in Cornwall. Situated mid way between Padstow and Newquay on the rugged north Cornish coast, Mawgan Porth offers you a beautiful west facing beach, stunning scenery, wondrous walks, superb surfing, an amazing variety of accommodation to suit everyone's taste and pocket, fabulous food from the pubs, restaurants, cafes and takeaways. Mawgan Porth's Sunday Times award winning beach has acres of golden sands - great for just relaxing, playing family games, making sand castles or maybe just flying a kite. Rock pools abound and there are caves to explore. The fantastic Atlantic breakers make for magnificent surfing, be it on Malibu or body boards, so there's lots of fun for everyone, all under the watchful eye of the RNLI lifeguards who operate on the beach every day between April and September. Mawgan Porth and surrounding beaches are dog friendly, but please be responsible with your pets and don't let them interfere with the enjoyment of others using the beach. There are many activities in and around the local area such as a great pitch and putt, which incidentally sits atop an Iron Age fort, crazy golf, fishing (coarse, sea and trout), go-kart racing, surf schools, ten pin bowling, a vineyard and a candle factory - the list is endless. For the walkers of this life there is the South West Coastal Path which passes right through Mawgan Porth, so from here you can walk northwards towards Padstow, passing en route the starkly beautiful and legendary Bedruthan Steps, supposedly created by the giant Bedruthan walking the coastline. You can, at low tide, go down the many steps (not those of the giant though) to this long and sandy beach to walk or explore the caves. There is a National Trust cafe with shop and toilets nearby - out of peak season they serve wonderful Sunday roasts! Walking on from here brings you to Porthcothan Bay,Treyarnon Bay with its natural swimming pool in the rocks at low tide, Constantine and Booby's Bay, Trevose Head and lighthouse, Mother Ivy's, Harlyn and Trevone Bays and finally Padstow from where, no doubt after a little refreshment, you can get a bus back to Mawgan Porth. There is a full range of shopping facilities available in Newquay and more extensive shopping in Truro, cathedral capital city of Cornwall. Lots of fabulous restaurants within easy reach: Jamie Oliver's Fifteen in nearby Watergate Bay, Rick Stein's Seafood Restaurant at Padstow and Nathan Outlaw's 2 Michelin starred restaurant at the St Enodoc Hotel in Rock. Plus the wonderful Scarlet Hotel and Bedruthan Hotel which are both just a short stroll away. Mawgan Porth lies in the Parish of St Mawgan-in-Pyder and the Parish Church dates from the 14th century. The church is the jewel of the beautiful Cornish village of St Mawgan, with its cricket ground, ancient inn, ford and convent. Its well worth exploring! The pub in St Mawgan, The Falcon Inn, is a traditional country pub serving homemade food and has a wonderful roaring log fire in the winter months. Guest from Crook stayed for 14 nights. Guest from Poole stayed for 3 nights. A great place to relax and chill. The views were amazing and even at the end of October it was warm enough to sit outside and enjoy the views. The place was immaculate, spacious and in a great location. Definitely would like to return next year! Guest from Hants stayed for 7 nights. I thought Blue Seas looked lovely in the pictures, but in real life it is even better. Even on a rainy day you can watch the sea from the window. It is very well equipped indeed to a high standard. There was a problem with the outside light so we phoned James (caretaker) who came straight away to sort it out. Very impressed. The coastal path is accessed through the garden gate. Easy going down but very steep going back up! My husband is 65 and found it no problem just slower going up. The beautiful garden is a joy and we all played games in it and had a right laugh. It was nice to park the car up for the week and have eating places & pub within walking distance either by land or along the beach. Our dogs loved it there and the outside heated shower enabled us to keep them clean before going in the house. Parking is good. We had three cars and there was plenty of room. Blue Seas is an stunningly beautiful place and location and equipped to please all ages. It will remain in my heart and dreams. Guest from Hankham Pevensey stayed for 7 nights. Guest from Sargans stayed for 14 nights. Great location, very quiet, except the wonderful noise of breaking waves and seagulls, wonderful and spacious house, very comfortable and well equipped. Great garden with plenty of space for ball games etc. Beach in Mawgan Porth is superb with lots of waves to do surfing. Would love to go back to this place again. This is the second time we have stayed at Blue Seas so knew what to expect. With the alterations it is a lovely house to stay in. It is a home from home in a beautiful location which we absolutely love. It is peaceful and very relaxing. The house provides everything you need, even our two dogs had a fabulous holiday. We had a very enjoyable stay, very much appreciated the generous extras, 6 feet Christmas tree, hamper, wine, logs and fire laid ready to light. Views amazing. Matt and Lisa very helpful. Only negative was the private approach road which had more potholes than Tarmac! Really do need to get together with the other residents to resurface it from the post box to the end. Better when turning left at the post box. Guest from Maidenhead stayed for 7 nights. Blue Seas, Mawgan Porth - comfortable with views to die for. Blue Seas is a charming cottage style house with fantastic views over the stunning beach at Mawgan Porth. The Beach is easily accessed via steps from the costal path which is 5 minutes walk from the house. The Pub is within walking distance but this is not a walk you would really want to do in the dark, it is however,very worth a visit. The house is very comfortable and easily divided up if you are staying with freinds or as a large diverse family. We did find a few issues but none major. The bathroom is a bit of a let down as it is small and the shower over bath sprays straight over the side. This could be easily fixed with a shower curtain rather than the glass screen which gets in the way getting in and out anyway. We like to have an open fire when relaxing in the evening, as we do at home, and found a couple of issues with this. 1, there is no TV in this room and so could not enjoy the fire and watch a film which was a shame. 2, the fire grate front kept falling over and spilling ash everywhere. In the end we had one fire all week, a bit of a shame really but not a holiday spoiler. 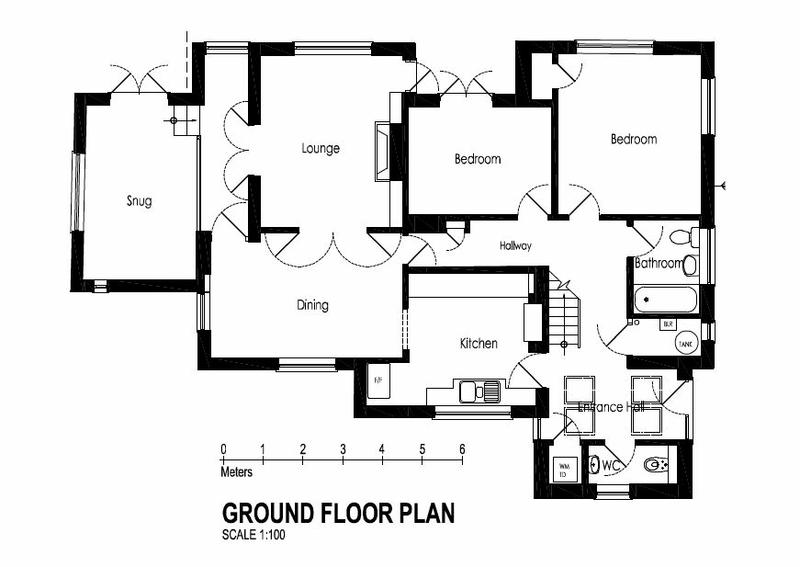 The last thing is the master bedroom on the ground floor. There is a huge bed in there which looked great, however, it is 2 singles pushed together which kept seperating in the night and leaving a 2-3inch gap between us. Not massive but enough to stop you sleeping. A nice kingsize would be better and there maybe room for a sofa bed in there too. All in all these are minor points that would not stop us rebooking as it is a nice place and a fantastic location. If we were prepared for these points they might not be an issue at all, hence I have mentioned them. If the owners were to stay there themselves for a bit they might notice them and put them right. What is a bit of an issue though is the road. Don't go if you have a low slung sports car as it is very rough. P.S. The gardeners turned up twice unexpectedly and you only know they are there when you see them in the garden. Can be a bit of an intrusion on holiday. Were glad you enjoyed your recent stay at Blue Seas so much, and appreciate your feedback on areas to be looked at. The bed in the master bedroom is a zip and link. When properly zipped and linked there is no gap at all and it feels no different to a kingsize bed. On this occasion we can only assume that the caretakers had forgotten to link it properly after it had been rented out as two single beds during a previous week - we are very sorry about this. The downstairs bathroom is having a make-over over the winter and Im sure you will find it much improved in 2016. We have three sitting rooms and two TVs. So far most of our guest really enjoy having one quiet sitting room without a TV. However, if the general feedback is in favour of a third TV, we would be happy to provide this. The two star rating for cleaning was a surprise since we pride ourselves on the house always being spotlessly clean throughout. We shall investigate this further. The fire in the sitting room draws well and mosts guests use it over the winter. We can certainly look at the grate to see what the problem was there. We try to keep the garden looking at its best all year round. Since Blue Seas is booked out most weeks, it is unavoidable that gardeners have to come while we have guests at the property. I hope they were discreet and did not make you feel uncomfortable in any way. You are absolutely right about the road which has been an on-going issue. Happily the residents have clubbed together to fund the resurfacing of the entire network of roads off Tredragon Road. This will make a big difference to our guests during 2016. We had a great time at Blue Seas. The location is amazing and the views are stunning. The house is clean, comfortable and well equipped, and the house keeper was very helpful and responsive when we had an issue with the TV aerial. The only two more constructive comments I'd make is that the description should make clear that access to the upstairs is very, very steep, and that it would be worth trying to level out the beginning of the drive way as our cars scraped over a tarmac bump each time and we ended up parking on the lane as a result. But they were two very minor points about what is a wonderful cottage in an ideal location. Guest from Hernebay stayed for 7 nights. A most enjoyable stay and an ideal location the house was well equipped with very good quality household items, well situated on the coast and several scenic walks along the coast and up to St Mawgan. The pub / Restaurants s are also within easy walking distance. Guest from Halifax stayed for 14 nights. The worst bit of the stay here, was the day we had to leave. Fantastic accommodation with the sea views, you could be sat on the patio... But think you're on the beach. The house is fully equipt with everything you need and more. The kitchen is well stocked with more utensils than you could think. The only two downfalls were, we stayed for two weeks expecting all linen to be change on the Saturday, unfortunately this didn't happen and the road leading up to the house has a lot to be desired. But would I book again? It's a yes! We are so glad to hear you had such a fantastic time at Blue Seas and loved the gorgeous views. The road is privately owned by the Duchy Of Cornwall but residents are working on a plan to improve its condition. We always make sure all 2 week bookings have the option of a mid stay linen change and freshen up. As the property is on a private road, no Streetview is available. Instead, this is a lovely view of the beach at Mawgan Porth. Watersend House is a detached house located within a short 5-10 minute walk of spectacular Watergate Bay with its golden sand, near Newquay, great surf, the Extreme Academy and Jamie Oliver's Fifteen Restaurant. Set in its own grounds this large house with HOT TUB is perfect for large groups and families looking to be close to the attractions of the area. All age groups are welcome at Watersend and dogs are welcome at no extra charge.